I see many photos in my Instagram feed of the sakura (cherry blossoms) in Japan, which are blooming right now. Several years ago, when we moved into our house, we planted a cherry blossom tree in our backyard so we could enjoy the sakura each year as well. 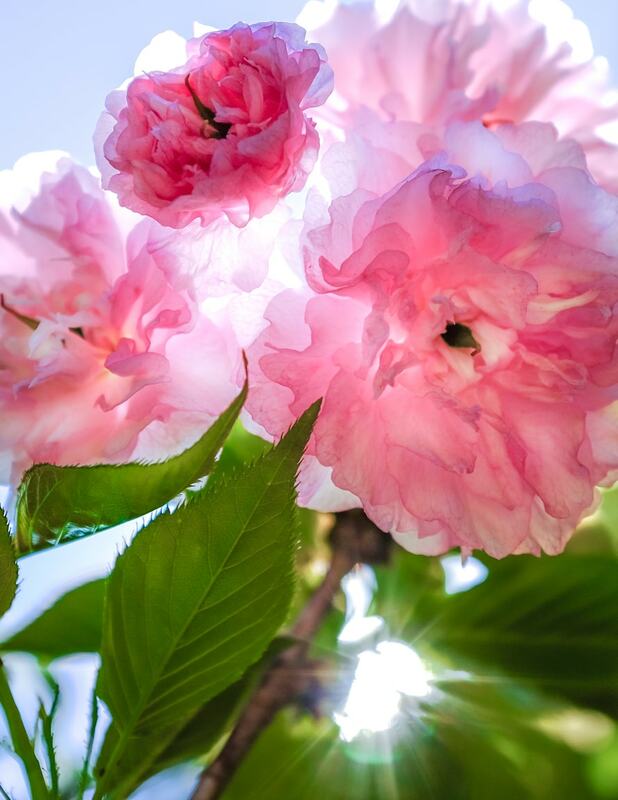 Although the blossoms look beautiful, Mariko pointed out that they are not as nice as the ones in Japan because the trees are not supposed to have leaves on them at the same time as the blossoms. And it’s true, the ones in Japan are all flowers, and no green. Nevertheless, I still think the flowers look terrific.